Advertisers have been clamoring for more space to add information to their ads for years. But expanded text ads also present unique challenges. The biggest of which is that with the transition from older google ads to the new expanded format comes a new set of best practices and industry standards. As you phase out your ads and move to the expanded text format, you’ll want to follow a new set of guidelines to make sure your campaign continues to function at peak levels. At TangoCode, we recommend you follow these SEM techniques to see the greatest continued success. Don’t just take your existing ad and add a new headline. The best way to optimize expanded ads is to rewrite your ads altogether. Really think about why your customers click your ads. Go back to your analytics info and optimize the data to create a new ad. Remember, the headline is still the most valuable part of your ad. Besides now having two of them, the rules for headlines have not changed. Having more real estate in the headlines should encourage you to experiment with your brand’s unique selling points (USPs). In other words, do not be afraid to A/B test ads with varying messages to maximize their potential. But don’t jump in with both feet. We don’t recommend pausing your existing ads right away. 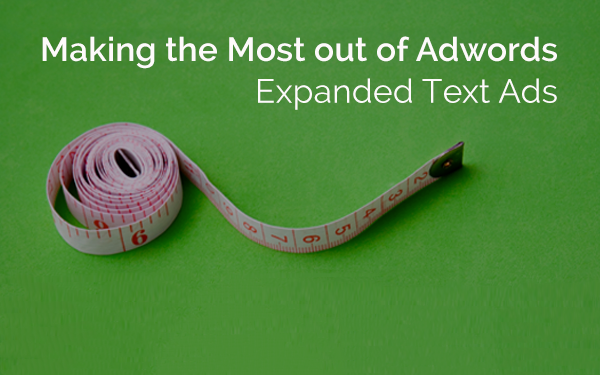 Supplement your existing ads with the new expanded text ads to come up with a winning combo. It’s important to optimize both headlines. But remember that your ad’s first headline still takes priority over the second. At times, the second headline appears right after the first. Other times, it appears after a line break. You can preview how Google displays text ads, but there is no way of knowing for sure how it will appear on the actual SERPs. Since you have no way to guarantee that your second line will show up every time, but the most effort into headline #1. More than half of your customers will search on a device other than their computer. And 90% of your customers will use multiple devices before they buy. In fact, 98% of people will use multiple devices in the same day! Thankfully, Google’s new expanded text ads already optimize across devices. You don’t have to specify the device in the ad. However, you do need to make sure your ad makes sense and is actionable on all devices. For instance, an ad that prompts users to call will not work on a laptop. Rethink your CTA and messaging to make sure the ad will work on all devices. Ad extensions have always been a smart way to increase your ad’s Quality Score and Click-Through Rate (CTR). But the ad extensions of the past may no longer be effective. Google will only display ad extensions on extended text ads if they offer something new to the reader, so make sure your extensions do not rehash the content of your description. SEMs have every reason to be excited for Google’s expanded text ads. More room to expand your ads’ content can only be a good thing, but be sure you take full advantage of the change. For more tips on online marketing best practices subscribe to the TangoCode blog. We provide news and the most up-to-date best practices for Google Adwords and other important digital marketing platforms.